Please note: There is more information on Dementia topics in the Additional Notes section on this website. This requires a log in to access confidential information. Click here to be linked to the 800AgeInfo website for additional information. A 24-hour nationwide emergency response service for individuals with Alzheimer’s or a related dementia who wander or have a medical emergency. Provides 24-hour assistance, no matter when or where the person is reported missing. Click here for tips from the Health and Human Services website for where to find low-cost dental care. Use the search tool on the website to find a plan and/or a dentist that offers affordable senior dental care options through the ACA, Medicare, or Medicaid. Please note: There is more information on Hearing Loss (pg 57-59) in the Additional Notes section on this website. This requires a log in to access confidential information. Helps people with disabilities become full participants in the community; choosing for themselves how to live, learn, work, socialize and play. Serving approximately 8,000 people in nearly 190 cities and towns. 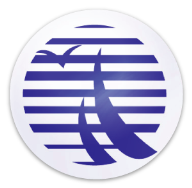 Independent Living Center of The North Shore and Cape Anne Inc.
A service and advocacy center run by and for people with disabilities. Supports the struggle of people who have all types of disabilities to live independently and participate fully in community life. Responsible for Vocational Rehabilitation Services, Community Living Services, and eligibility determination for the Social Security Disability Insurance (SSDI) and the Supplemental Security Income (SSI) federal benefits programs. Deaf, DeafBlind, Hard of Hearing, and Late-Deafened people can find a range of essential programs and services in a Deaf-affirmative, supportive community environment. All services are linguistically and culturally accessible for Deaf, Hard of Hearing, DeafBlind, and Late-Deafened people who use many different communication modes and have different ethnic and cultural backgrounds. Provides comprehensive eye care and complete ophthalmic medical and surgical treatment – all in a comfortable community setting. A state agency, established in 1906, to provide a wide range of social and rehabilitation services to Massachusetts residents of all ages who are legally blind. Agency services may address a number of varied needs of individual blind persons. Massachusetts law (C.6, s.136) requires that all eye care providers who find a person to be legally blind report this person to the Massachusetts Commission for the Blind within 30 days of the date of examination. We are a community organization that is dedicated to helping people who are living with disabilities and the elderly fully enjoy their healthy years and age gracefully. Our organization is funded by private donors and is completely independent of sponsors and affiliations. A comprehensive resource that provides information on topics like available care options for people living with disabilities, financial support, and free resources that are available from each state. Offers a wide variety of comprehensive services to the community. Whether a client is interested in leaving an unhealthy relationship, or is simply seeking more information about domestic violence and what it means, programs are designed to meet the individual needs of each person who is looking for help. Service area: all of North Shore including Cape Ann. Please note: There is more information on Elder Services topics in the additional notes section on this website. This requires a log in to access confidential information. Serves nine communities on Boston’s North Shore, including: Beverly, Essex, Gloucester, Hamilton, Ipswich, Manchester by-the-Sea, Rockport, Topsfield, and Wenham. Provides and coordinates services to elders and others, enabling them to live independently at home or in a setting of their choice while remaining part of their community. To qualify for homecare, you must be 60 years of age or older; a resident of Massachusetts, not live in a rest home, nursing facility, convalescent home, hospital, or assisted living residence, meet financial eligibility guidelines, and have been assessed by a care manager or nurse and found to be in need of services. Offers a variety of successful elder care programs (ie: Home Care, Nutrition) to ensure older adults can live life to the fullest. Most of the services are free, while others are low cost, and all are proven to deliver results. As part of an interdisciplinary team, a care manager assesses an individual’s needs, then develops and monitors the plan ofelder care. Several programs offer an increased level of services for frail elders at home. independent lives, safely and with dignity. Revere, Stoneham, Wakefield & Winthrop. Provides food assistance to the residents of Essex, Hamilton, Ipswich, Manchester, Topsfield and Wenham. 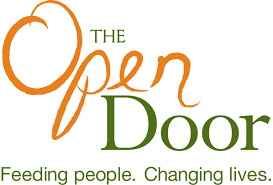 Provides critical resources to families and individuals so they may achieve self-sufficiency. Offers emergency and long-term assistance including: access to food, housing stability, adult and youth education, counseling and advocacy. Provides a free, three to five day supply of emergency groceries once every seven days for income-qualified residents of Gloucester, Rockport, Ipswich, Manchester and Essex. 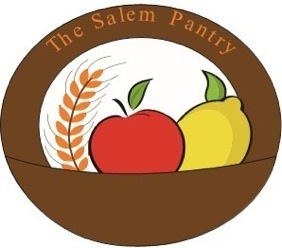 Provides Salem residents with nutritious food and groceries in an atmosphere of dignity and respect. Offers residents emergency food at the end of each month when bills are due, but before salary and support checks arrive to ensure that local residents have health perishable food and groceries during times of need. Supplemental Nutrition Assistance Program (SNAP) is the new name for the Food Stamp Program. Helps people and families with low incomes buy the food the need for good health. Women, Infants, and Children (WIC) is a program that provides nutrition, health education, health food, and other services free of charge to qualifying Massachusetts residents.